Single-mother Florida bounty hunter Lori Anderson's got an ocean of trouble on her hands. Her daughter Dakota is safe, but the little girl's cancer is threatening a comeback, and Lori needs JT - Dakota's daddy and the man who taught Lori everything - alive and kicking. Problem is, he's behind bars, and heading for death row. 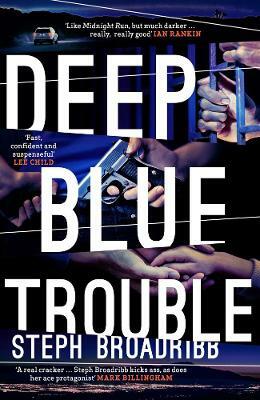 Breathlessly paced, and bursting with high-voltage action and edge-of-your-seat jeopardy, Deep Blue Trouble is the unmissable next instalment featuring one of the most memorable and fearless female characters in crime fiction.